Hello! Well.. I am not sure if today is a bit of a “cheat”. 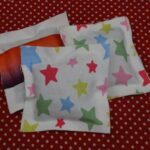 As I do bring you a “How To”, but essentially it is a How To that links to a pattern… but the reason I decided to go ahead anyway, is that I am hoping to tell you a little bit about a very lovely little charity called Morsbags.com known for its “Sociable Guerilla Bagging”. In the UK most shops and supermarkets heap plastic bags on shoppers. 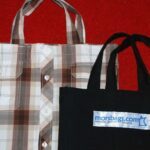 The idea behind Morsbags, is to make permanent bags out of old fabric, donate these to shoppers and reduce the plastic bag waste (even if some reuse or recycle them… there are still too many). Plastic bags are a pet hate of mind. And I love “repurposing” old things. I am, however, what you would call “rubbish” at sewing. I usually try and get out of it with all my “No Sew” activities, but it is a skill that I really want to improve on, and I found that these bags are FABULOUS for a beginner to practice sewing – wonky lines don’t matter (too much) and you still have something productive at the end of your efforts. So. 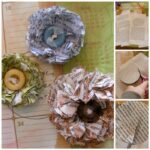 I highly recommend giving these a go, if you would like to practice sewing! You will be doing something good in the process! 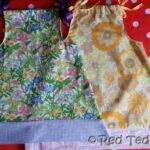 AND, what is best of all, you can make one bag out of ONE shirt (with a little cutting of corners and sewing the front of the shirt shut). 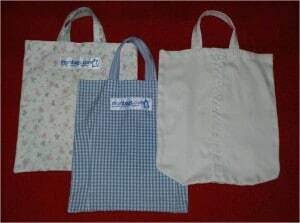 Materials: A sewing machine, thread, a shirt (per bag) or pillow case, Morsbag labels. How to: Here is the pattern. My only tip is to iron your fabric, it does help with cutting it out neatly. 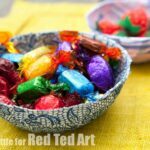 I hope that if you have some old shirts or fabric “lying” around you will give these a go and take your shopping bags with you on your daily trip! Now.. I know this isn’t terribly exciting, but I am giving away ONE of the above Morsbags.com shopping bags to one of you lovely readers anywhere in the world. Just leave me a comment below saying that you would like to win a bag and please subscribe to my blog (and let me know you have done so!). AND you must promise that you will try and use it for your shopping!! NOW I know what to do with those gorgeous shirts i bought at the charity bin store and haven’t been able to decide what to do with them. Grocery bags–YEAH- thanks for the easy tutorial! 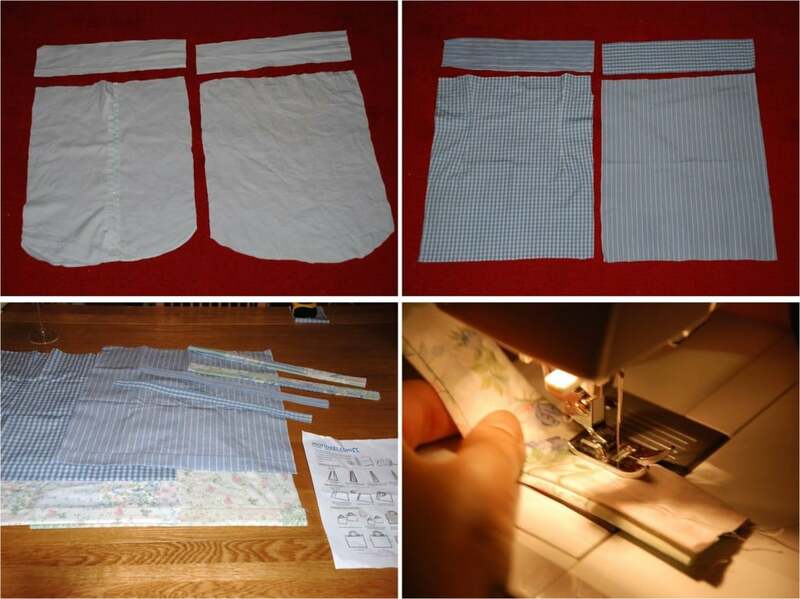 Nicole – I would LOVE to see your finished bags! I love your bags, well done! This sounds like a good project to get into sewing and it’s going on my list of things to make. You may even be able to get your son interested? A great project for learning!! Love it! But where do you get the morsbag label from? 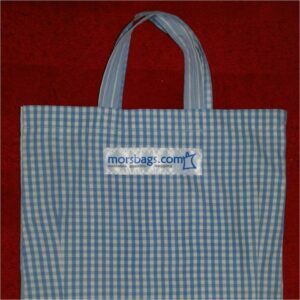 You register with Morsbags and you buy 10 for £1.60 (to cover their costs). I think label really makes a fab touching finish. You need to check if you are international. It’s the newest book from the same person who did the heart book you like and I’ve just read a really really positive review about it. Oh thanks Zoe, will check it out!! I have plenty of reusable bags for shopping. The problem is that no-one has invented a device to remind me to pick them up when I leave the house! I found you while reading Skip to My Lou-Made by you Monday. Came by to see your shopping bags(they are really cute) and found out you are giving one away. YEA!!! I love cloth shoppung bags. Thanks for the chance to win one. Forgot to tell you I subscribed to your blog, also. You just inspired me! I went through some of my shirts and have a pile that were still nice but didn’t know what to do with them. Thanks! Great tutorial! I love how it turned out. Great idea! I would have never thought to do that! 😀 Thanks for sharing and linking this up too! Wow, I was so glad to see this post — I LOVE Morsbags and have made a ton of them myself! 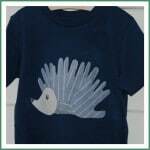 I gave them out to shoppers at my husband’s store before Christmas and everyone loved them! So glad to see these made out of shirts. I made many of mine out of old clothing, too. Here’s to Morsbags! I’m about ready to start my second batch to hand out on Earth Day in April. I absolutely LOVE this!!! 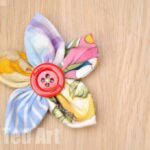 Found you on the CSI Project and I’d love if you came and linked this up at Sew Woodsy! I am going to make a few of these tonight! I would love it if you would link up to my Tuesday Confessional link party going on now: http://www.craftyconfessions.com/2011/06/tuesday-confessional-link-party.html. I hope to see you soon! Thanks for the invite Macy! Definitely! One of my favourite shopping bags for sure! !